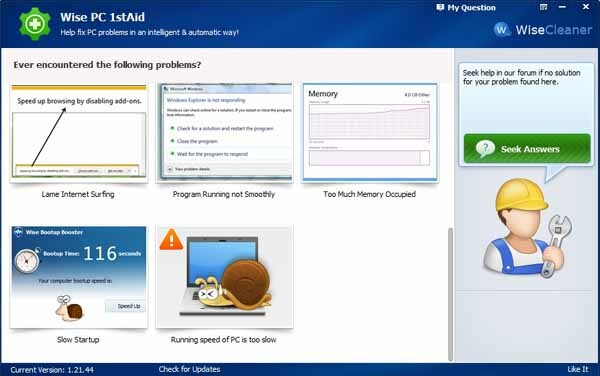 Free download Wise PC 1stAid latest version.Wise PC 1stAid is an efficient, intelligent troubleshooting tool that helps users find solutions to some common computer problems. That includes errors related to desktop icons, the task manager, web pages, broken links, unable to open regedit/task manager, slow internet connections, slow startup and slow PC. All these common PC problems will hence be easily solved by Wise PC 1stAid within several clicks.